I had not heard of the Religious Sovereign Movement that apparently is spreading across the country. It is an attempt to overturn our legal system or at least turn it on its head. As I read this exposition of the movement where all citizens become lawyers (as opposed to priests), interpreting laws as they see fit, I'm led to think of the way we are as a nation as a whole pushing individualism to its extremes. What binds us together I wonder? Anyway, take a look at this essay from the University of Chicago Divinity School and Martin Marty Center offered up by Spencer Dew and his student Jamie Wright. 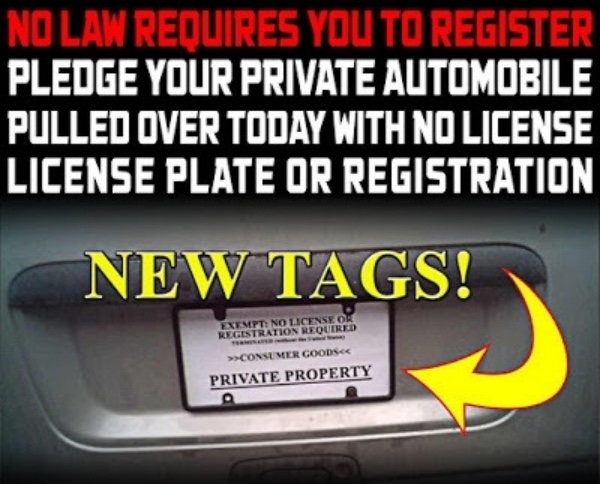 Such plates are typical for the sovereign citizen movement, a broad collection of individuals and communities that subscribe to beliefs that justify the rejection of certain laws and the contestation of certain levels of legal authority and jurisdiction. The FBI considers sovereign citizens the number one domestic terrorism threat, largely due to the practice of “paper terrorism” which floods the legal system with everything from bogus liens to weaponized IRS forms. Sovereigns insist on representing themselves in court; they have been known to float theories regarding the presence of fringe on the American flag or the invalidity of names as inscribed on Social Security cards. That complexity can be mapped in six characteristics, all related to the religiosity which permeates and defines much of the sovereign citizen movement. First, for most sovereigns, beliefs about the law are explicitly religious beliefs. This cannot be overstated: while they link their beliefs to points across a broad constellation of existing religious traditions. These beliefs build on the claims and language of race-based new religious movements, or pursue the Christian scriptural logic of a separation between that which belongs to Caesar and that which belongs to God, or expand widespread and thus rather ecumenical narratives about the sacrality of the Constitution and the American experiment). The majority of sovereign citizens conceive of and engage in their claims and practicesas religious. On an individual level, a sovereign could be a Moorish Scientist, a Washitaw, or a citizen under the protection of the Embassy of Heaven. A sovereign’s beliefs could also fall somewhere along a theological spectrum from the exclusivist Christian Identity and fundamentalist strains of Mormonism to the more generic and inclusive bible-based Christian Patriotism. Second, while sovereign citizens reject certain laws, that rejection is predicated on an idealization of law. For them, law is divinely ordained and underwritten; it has a transcendent and transformative power. Third, the law which sovereigns espouse always supersedes other interpretations of the law. Sovereigns, for instance, create license plates like the one in the Tennessee case because they believe laws regarding vehicle registration and licensing to be corrupt interpretations of the true law, seen not only as directly related to the deity but also as inherently just, universal in application, and capable of being communicated. The “non resident” plate was an attempt at such communication, part of a broader project of persuasion described by many sovereign thinkers using a metaphor inspired by the Matrix movies of the 1990s. In these sci-fi films, humans live in an artificial reality, and only by taking a “red pill” can they see the world as it truly is. Thus, fourth, at the core of the religious sovereign citizen worldview is an impulse toward proselytization, a sense of responsibility for distributing such “red pills” of truth. Religious sovereigns insist that law, while corrupted by the current political power structure, is available to all as a tool for liberation. All liberation requires is education and determined use—such as making one’s own license plate and arguing its merits with police and later in court. The Tennessee traffic stop involved two avowed religious sovereigns, Dustin Bryce Rosondich and Xylie Eshleman. Insisting on a popular sovereign citizen distinction between “driver” (one who is paid to operate a vehicle) and “traveler” (who needs no license), these two identified themselves immediately as “law-lovers” on a “religious pilgrimage” to learn more about the law and improve their abilities as lawyers. Fifth, sovereign claims about the law are understood to be objective; they can be and are justified by citing specific historical instances prior to the corruption of true law. Sovereigns look back to a nostalgically re-imagined, more pristine time—a time is defined by laws and other legal texts (treaties, Constitutional Amendments, the Universal Commercial Code, definitions in old editions of law dictionaries). These are all still accessible and able to be cited can be referenced and discussed. Sovereigns train themselves to become experts in law, legal discourse, and legal history by using sovereign citizen instructional manuals, often doubling as religious scriptures, but also through YouTube videos of lectures or recordings of actual sovereign legal practice at police traffic stops or in courtrooms. For sovereigns, legal expertise means expertise in the law before its current, lapsarian state; sovereign legal claims are rooted in readings of legal history. Sixth, sovereign readings of legal history are either counterfactual or obsolete. Their reading of the Expatriation Act of 1868 reverses its meaning. The 1868 statute allowed immigrants to the United States to renounce their previous citizenship and accept American citizenship, not the other way around. While generally dismissed by judges as “frivolous,” such legal interpretations tell us a great deal about the religious sovereign worldview. By conflating religion with law, religious discourse and legal discourse are understood as one and the same. Religious sovereigns understand that just as interpretations of religious scripture or discourse are treated as universal truth, interpretations of law can likewise be treated as universal truth. Law is thus “up for grabs” in the same way as Protestant interpretation of scripture is. Rather than “every man a priest,” for religious sovereigns “every individual a lawyer.” Indeed, the sovereign citizen movement could perhaps best be described as populist folk magic: everyone can become expert in the law, and use that expertise to change their lives. This promise, as in the case of Rosondich and Eshleman, is usually deferred. Police and courts are not easily convinced by sovereign arguments. Still, in spite of fines, imprisonment, and decisions in which “frivolous” or even “nonsensical” are used to describe sovereign claims about legal history, hope persists throughout the movement that soon true law will be restored. Until that time, religious sovereigns, defining themselves via their knowledge of the law, will continue, like Rosondich and Eshleman, to act upon their beliefs and attempt to convert others to their particular love of the law. Rosondich v. United States Attorney General. Federal District Court of Western Tennessee. Case No. 1:2014cv01082. April 10, 2014. Kotch, Steven. “Sovereign Citizens Jailed for Handwritten License Plate, Say They Were Following God’s Law.” Americans Against the Tea Party. June 20, 2014.http://aattp.org/sovereign-citizens-jailed-for-handwritten-license-plate-say-they-were-following-gods-law/. Perez, Evan and Wes Bruer. “DHS intelligence report warns of domestic right-wing terror threat.” CNN, February 20, 2015, Politics.http://www.cnn.com/2015/02/19/politics/terror-threat-homeland-security/. Smith, Megan. “‘Sovereign Citizens’ Appear in Court.” Jackson Sun/YouTube, May 22, 2014. https://www.youtube.com/watch?v=InTr2i3JqEE. 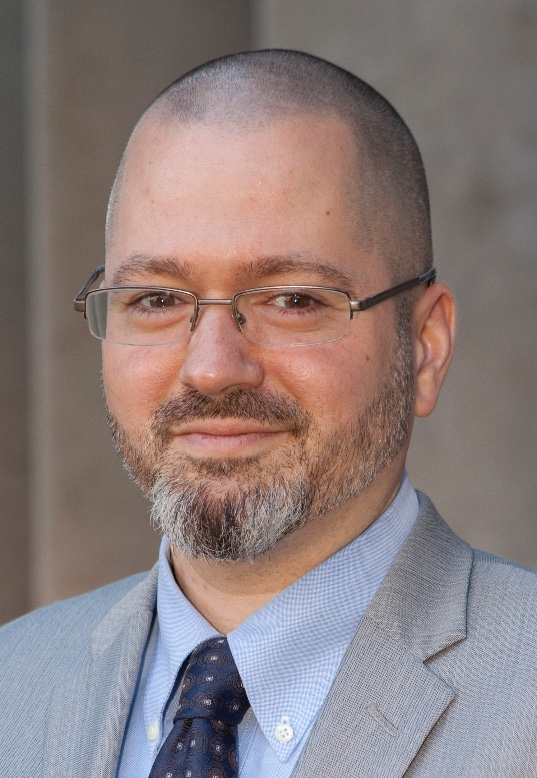 Author, Spencer Dew, (Ph.D. UChicago 2009) is Assistant Professor of Religious Studies at Centenary College of Louisiana. His work on sovereign citizen legal practices within communities in the Moorish Science Temple of America and Washitaw de Dugdahmoundyah religious movements is forthcoming in “Nova Religio” and “The Journal of Law and Religion.” He is the author of the book Learning for Revolution: the Work of Kathy Acker. Author, Jamie Wright, is a senior Political Science and History double major at Centenary College of Louisiana. She worked with Prof. Spencer Dew this past summer doing funded student-faculty collaborative research on the sovereign citizen movement in the U.S. and the way this movement has affected and infiltrated the legal system. 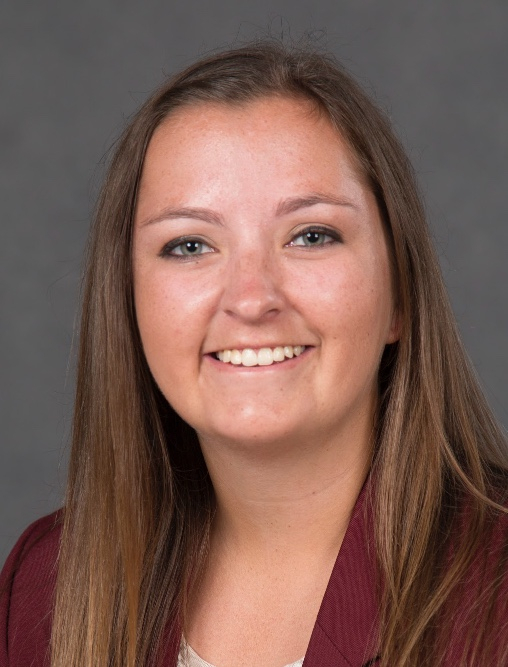 After graduation, Jamie plans to pursue a Masters program in International Relations and Politics in the U.K.